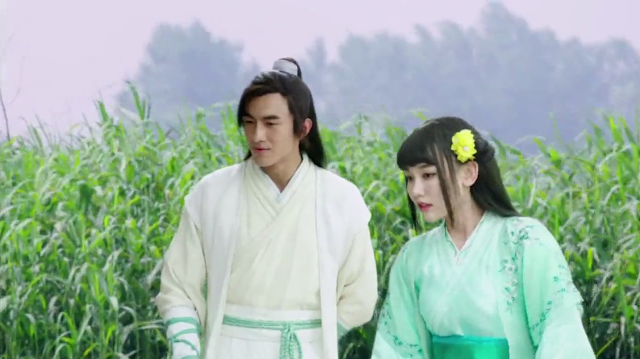 Oh God of War Zhao Yun 武神趙子龍, if you only knew how inclined I was to like you. Hint: SNSD's Girls and Peace Concert... I was there, but Yoona or no Yoona, you turned out to be such a tease. Episode 1 begins with a standard voice over so often used in period dramas to introduce the era. The Han dynasty has reached the end of its life and the king commands Zhao An (Yu Rong Guang) and Li Quan (Zou Zhao Long) to protect the Qing Gang Sword and the Heavenly Sword. 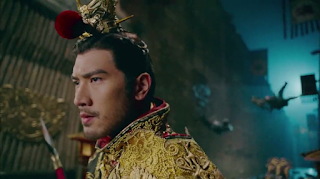 Hungry for power, Dong Zhuo seizes control of the capital while his subordinate Lu Bu (Godfrey Gao) thwarts any attempts against him. His first order of business as king is to reclaim the legendary swords in hopes of bringing legitimacy to his throne. Back in Zhao An's hometown, his son Zhao Zi Long (Lin Gengxin) enjoys a day of poems and playful conversation with friends. 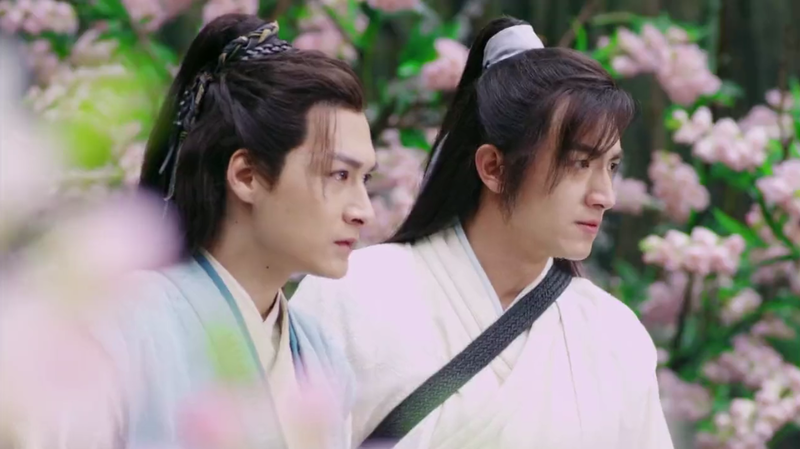 One of them gets captured by Dong Zhuo's men and a fight breaks out, leading to the double suicide of Zi Long's parents accompanied by some cringeworthy dialogue along the lines of "Nooo, I'm not leaving you... thud." Thus commences Zhao Zi Long's fateful journey to become an iron masked hero, thanks to the show's fetish for ugly masks. First Impressions: God of War Zhao Yun retains the qualities of an old school wuxia from the cake face makeup akin to Chinese opera to the flying action scenes and the quintessential young apprentice who embodies all that is just and noble. However, rather than euphoric nostalgia, comes an unexpected disappointment. Maybe the budget was used up on casting, after all, it must cost an arm and a leg to bring together Im Yoona, Lin Gengxin, Gu Li Na Zha and Godfrey Gao, what more when adding veteran martial artists Yu Rong Guang and Zou Zhao Long to the mix. Unfortunately, the prettiness does not excuse the poorly edited scenes that look like a photoshop job gone wrong. For anyone who has seen City of Devastating Love, the CGI tiger makes a comeback, albeit unwarranted. 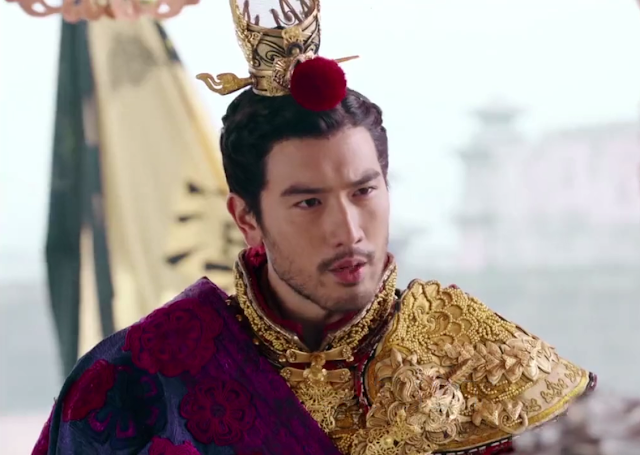 Costumes are a hit or miss inasmuch as Gu Li Na Zha is stunning in ancient garb, Godfrey Gao dons a glorious mess of red, gold and purple topped with a little fur ball. There are also odd-looking masks, plastic props that don't belong and crazy color combinations that scream for attention, which is weird for me to say because I love this genre and its clothes. Lin Gengxin's white robe above, that's classic wuxia. For what it's worth, my incessant nitpicking seems overly superficial and even though I didn't like the over-the-top acting nor did I connect with the characters, the story of the Three Kingdoms is one that is so complex, engaging and riveting that is too tempting to miss. The drama is doing really well ratings-wise, which is no surprise given the hype. 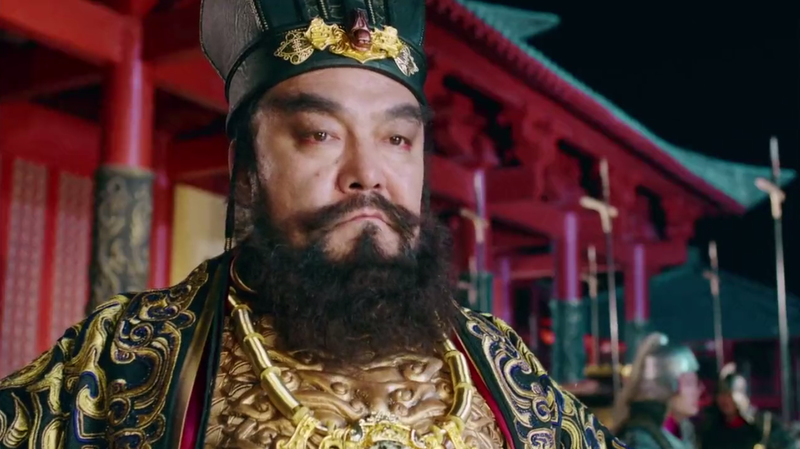 Nirvana in Fire didn't do as well but word of its awesomeness traveled far and wide so only time will tell whether God of War fares otherwise. In case you were wondering, Yoona appears on episode 2. Eng subs available in Viki.